Learn how to solve the problem three orange lights flashing, with the following publication, if you have any additional questions write a comment. Canon printers present the errors on the screen that has the printer and the computer, some time we can´t not identify an error to appear on a printer without screen. It may appear on the computer screen, but if we have the full printer drivers, you can not is when we identify errors by the number of flashes that gives the orange button on the printer. When the orange color printer button flashes three times is synonymous with the printer has a paper jam. 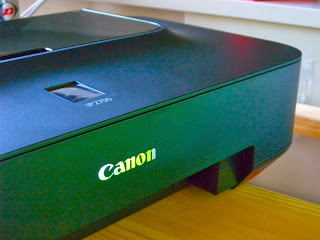 First of all, it is good to recommend a solution to the most common way to remove a paper jam in Canon printers, follow the link to our publication as clear paper jams in Canon printers. You can take the jammed paper where paper is more, both above and below so you must remember is to do it slowly, the printer to resume printing paper size will need that was printed earlier. Check carefully insideof the printer, sometimes there is a residue of paper or lint that prevent a good operation, a paper jam can be easily, to remove it gently, the manufacturer instructions help you to do with more safely. After removing the paper or whatever is obstructing the course of the same, press the button to resume a triangle inside a circle, possibly with the letters stop / reset if the printer is multifunctional. If you have any questions or suggestions curiosity, just type a comment in the publication, it is a promise that will not take long to get an answer.